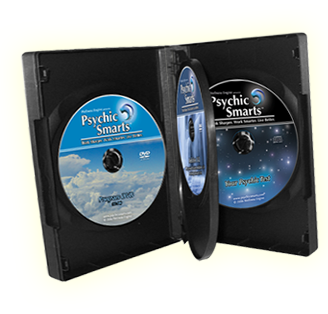 This phenomenal 4-disc program (a 49.95 value!) 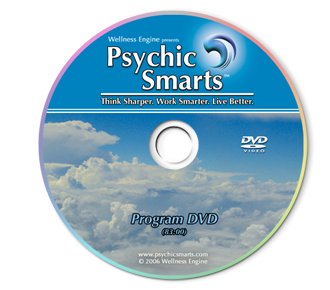 is yours right now for only $24.95, plus shipping and handling. 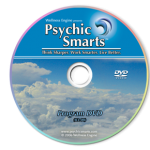 You will receive full access to the Psychic Smarts™ Online Program. 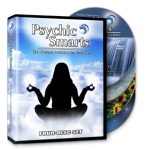 The 83-minute program is a guide to your inner psychic road map, explaining how you can work with and direct your subconscious mind. 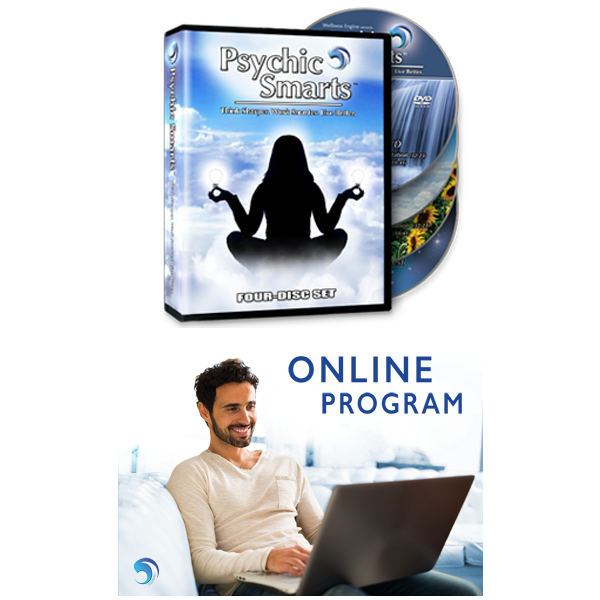 The program provides you with 4 major approaches and over 35 techniques for psychic development and personal empowerment. 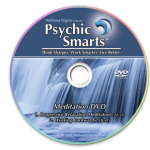 The two meditations with visuals teach you progressive relaxation and leads you through two step-by-step guided, psychic meditations to train your subconscious mind. 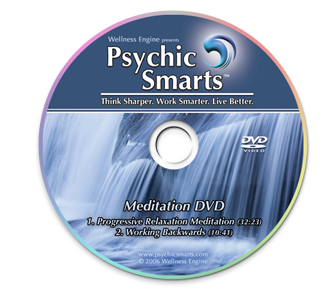 The meditations are accompanied by video beautiful, natural scenes. 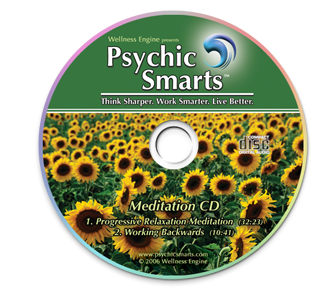 Same progressive relaxation and meditations as on meditations with visuals on audio CD with four disc program and downloadable mp3’s from online version. 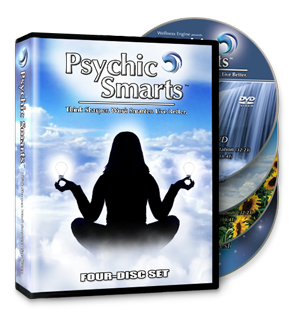 A multi-level, interactive test that strengthens your intuition, clairvoyance and focus. 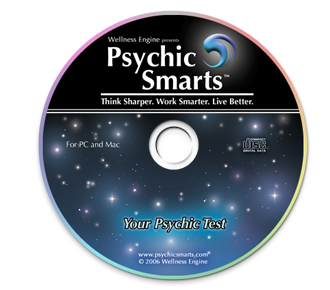 “Your Psychic Test” is programmed to always be random, so you’ll always have intriguingly different results each time you play. 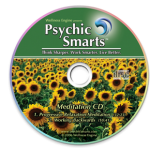 On CD ROM with four disc program and online. 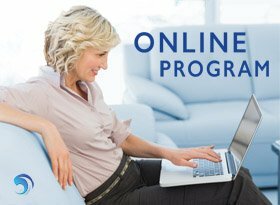 When you order this product, you get all the following products for free!